Located 1.2 km from Royal Albert Hall, Apartment Iverna Gardens - Kensington offers accommodation in London. The apartment is 1.2 km from Olympia Exhibition Centre. Free WiFi is provided throughout the property. 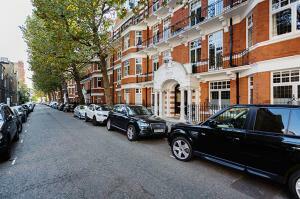 See all Apartment Iverna Gardens - Kensington reviews..